Dunsley fires and boilers have been specified in their hundreds of thousands by major builders and local authorities as replacement units or first choice systems. That's because all the our products are renowned for quality, reliability and good looks. They've all passed the rigorous Domestic Fuel Appliances Approval Scheme tests with flying colours and you should be wary of any appliance that has not. Heats up to 8 radiators, burns any solid fuel coal, wood logs, peat or smokeless fuel. On a bitter grey day there's nother better than the friendly warmth of an open fire. It's natures way of telling you winter won't last forever. Open fires have improved vastly since the days when half the heat went straight up the chimney and most people could afford to heat only one room. 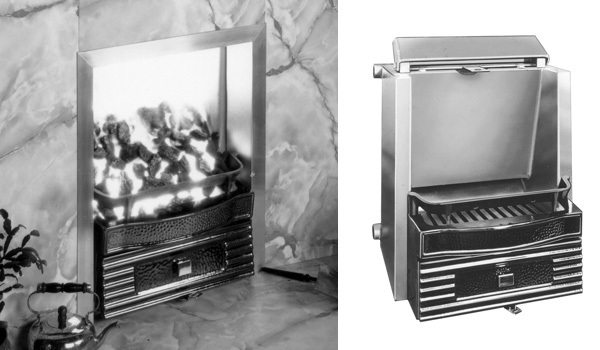 If you choose an Enterprise fire your open fire will be attractive, clean, safe, simple and extremely efficient. And it will also produce all the hot water you need for both central heating and domestic use. Dunsley Enterprise Boilers lead the way, designed with a square firebox to accept larger size logs. The Enterprise is a complete unit boiler and fire together. The easy clean flue on the Enterprise is a special design with internal water fins. The flue only requires cleaning when the chimney is swept. These boilers will give many years of trouble free service and have proved themselves to be very efficient in use. They are extremely efficient on coal and particularly on smokeless fuel.